The educational podcast of the Manitoba First Nations Education Resource Centre. Victor Harper, from Wasagamack First Nation, is currently the Tribal Education Advisor for the Island Lake Tribal Council. 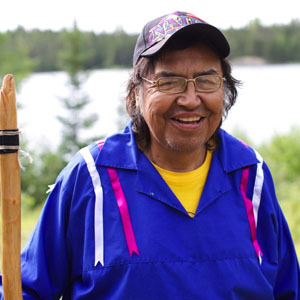 Victor has been an advocate for the Ancestral Education System and its importance for teaching culture, ancestral language, and instilling values in our First Nations youth, for decades. He joined us in our office in September, 2015 for a discussion around the balance between contemporary and ancestral education systems, and how that integration could, and should, occur.